Dating – Everyone who is single wants to be doing it but fears the process at the same time. Let’s face it, dating in real life, especially in this age of apps and technology is nothing like The Bachelor and the other misleading dating game shows on TV. There are far more bleepable comments, unsolicited X-rated inbox material, mess ups, nasty encounters, and more. You are more likely to find a one night stand – if you are lucky – than one of your dreams. And this is exactly what Dating #NoFilter is about! This E! reality show is an honest look at modern dating. Well, known comedians settle down to watch as singles go on blind dates. Their jobs? To give the audience unfiltered and hilarious commentary on everything that the viewer is watching and probably thinking. “Dating in a hashtag world can provide humorous, sometimes outrageous situations, and our comics are ready to bring it. Armed with wine, popcorn, and astute observations, they will offer hilarious commentary as our daters navigate the thrills and awkward drama in their quest for love,” said Amy Introcaso-Davis, EVP of Development and Production at E! Dating #NoFilter Cast: Who’s in it? Dating is anything but a joke, in these times, and you never know what you are going to end up finding during the course of a first date, and there is a pretty good chance of it all just blowing up in your face at any moment! Things become far, far crazier when it is a blind date. Dating #NoFilter is a five-week, 20 half-hour episodes, series where this single-state minefield is negotiated by participants while comedians like Rocky Dale Davis, Ben Bizuneh, Zach Noe Towers, Kelsey Darragh, Ben Evans, Cara Connors, and Nina Parkers sit back and comment, in their own inimitable styles. Dating #NoFilter Plot: What is it about? Dating #NoFilter is a hilarious look at all those highs and lows, all the joys and crash-and-burns, of dating in the digital age. Not just another series about or featuring blind dates, Dating #NoFilter adds a twist in the tale. First dates are awkward; there is no doubt about that. Blind dates regularly go belly up, that’s a fact too. So what happens when you combine the two and add in the factor of someone watching? That’s a surefire recipe for comedy! And if the “someone watching” is a bunch of comedians giving their unfiltered takes on what is going on in the date, the viewer is sure to get a hilarious experience. 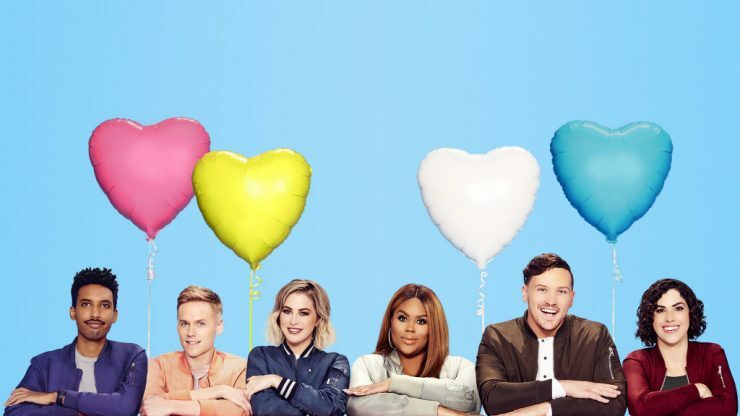 Dating #NoFilter Season 2 Release Date: When will it premiere? Dating #NoFilter premiered on January 21, 2019, and gave audiences a fantastical look at blind dates. Some of the dates go well, some are disasters from start to finish, and a few might be the beginning of something more. What is certain though is that a professional comedian weighing in on a situation that has ample comedic value, to begin with, is the stuff of good TV. In short, audiences are sure looking forward to Dating #NoFilter Season 2, but there has not, yet, been any official announcement of its renewal for a second season. However, given the popularity of the show, and other dating shows currently on air, it is not beyond the realm of possibility. Our best guess is that if the show does get renewed, Season 2 of Dating #NoFilter can release sometime in December, 2019. We will update this section as soon as we hear more. While we wait for the release date of season 2, check out the season 1 trailer to refresh your memories.